Newspatrolling.com, a news aggregator and blogging startup, has partnered with NASDAQ GlobeNewswire’s distribution network for the distribution of NASDAQ GlobeNewswire’s press releases, news updates and other content on its portal. GlobeNewswire, a NASDAQ company, is one of the world’s largest newswire distribution networks, specializing in the delivery of corporate press releases, financial disclosures and multimedia content to the media, investment community, individual investors and the general public. Newspatrolling.com is the voice of several brands, individuals and organizations that utilize its platform as an effective alternative to mainstream media. 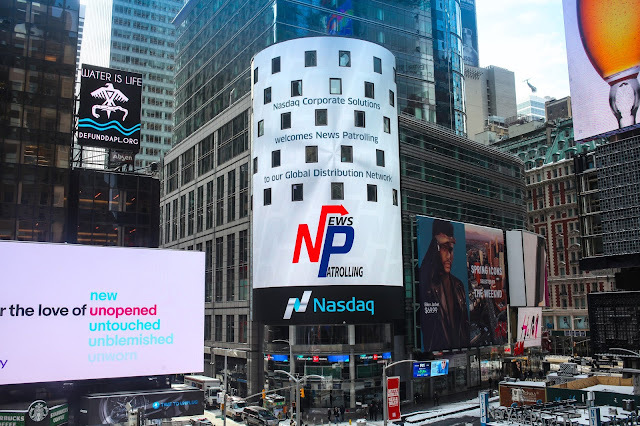 The press releases and updates from the corporate and financial world published by NASDAQ GlobeNewswire’sdistribution network will now be available at Newspatrolling.com. Newspatrolling, a leading online news aggregator and blogging startup. Since its inception, PankajBansal has focused on ensuring that the Newspatrolling platform delivers unbiased news stories and reviews. Today, Newspatrolling is the voice of several brands, individuals and organizations that utilize its platform as an effective alternative to mainstream media.